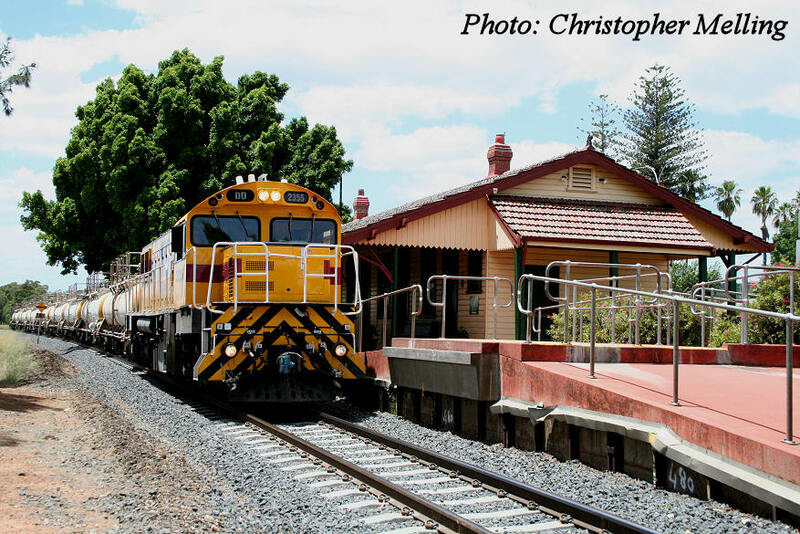 2009 has continued the last few years as being a period of ever changing views on the Rail Scene in Western Australia. Here are a few photos showing whats happening. DD2355 passes Harvey Station heading for Bunbury on 13 January 2009. 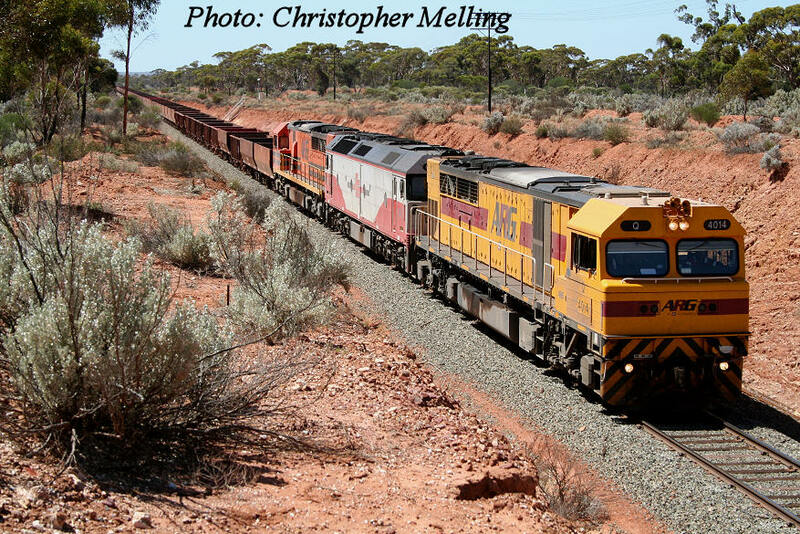 Q4014/G515/Q4009 on 5414 empty iron ore to Koolyanobbing just south of Binduli on 15 January 2009. 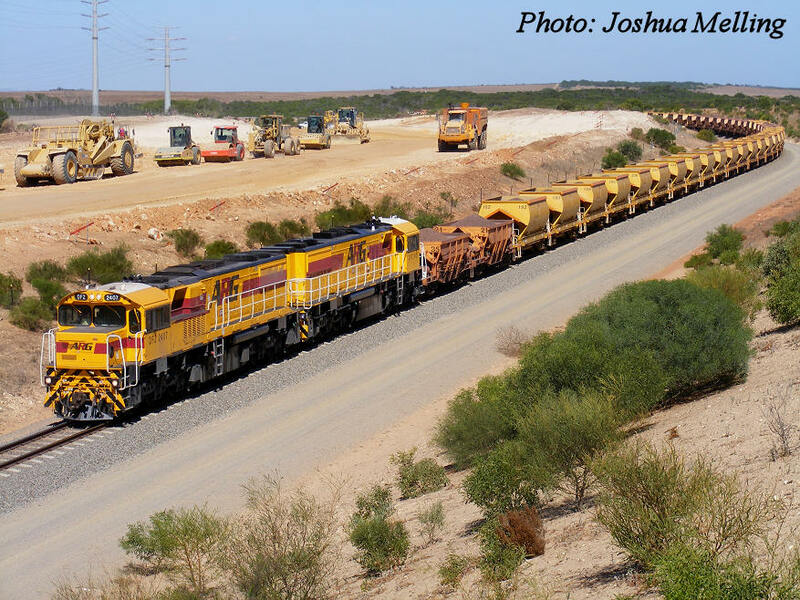 DFZ2407/ DFZ2401 on 7713 loaded iron ore to Geraldton Port passing the roadworks for the new Southern Transport Corridor roadworks near Mount Tarcoola on 21 March 2009. 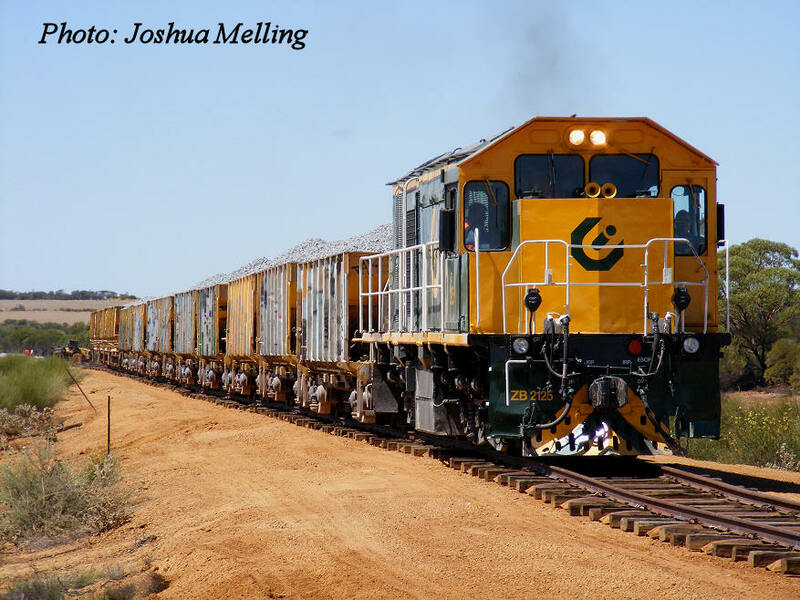 ZB 2125 moves the ballast train south approx 500metres from Bowgada on 22 March 2009. 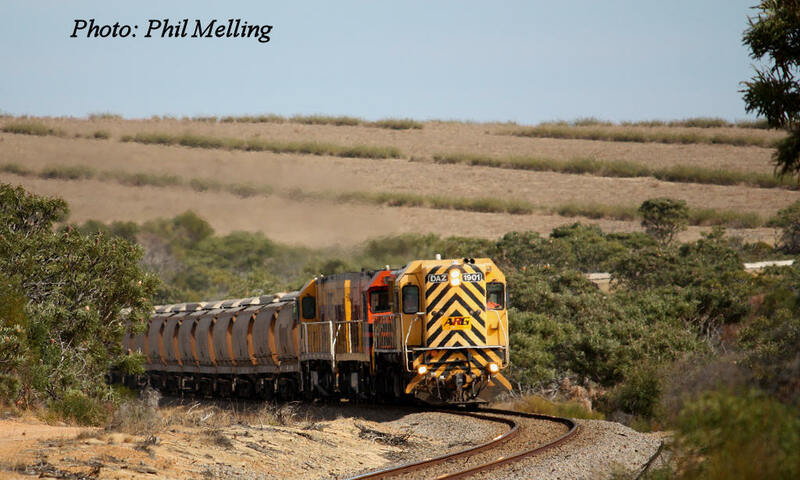 DAZ1901/P2505/P2515 on 1750 grain to Carnamah on 10 May 2009 near Yardarino. 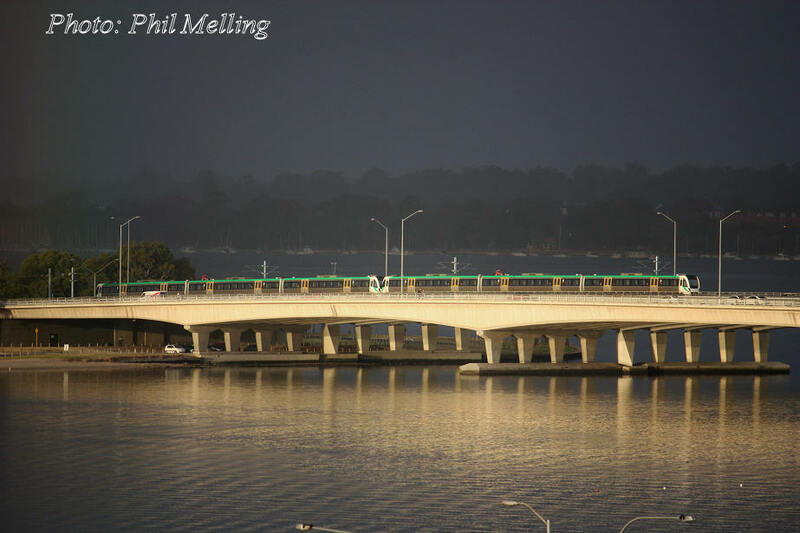 A 6 car EMU (Electric Multiple Unit) set crosses the Narrows Bridge in Perth on 18 March 2009 just prior to a rain front coming through. 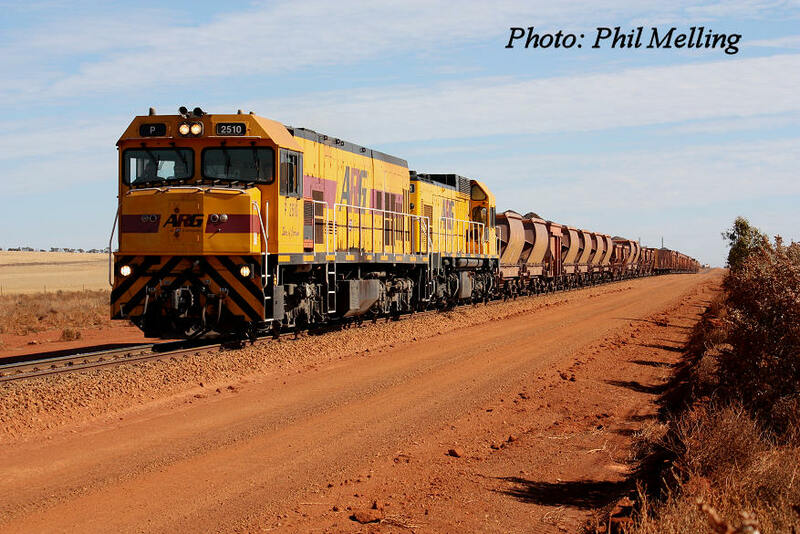 P2510/AB1501 & 7711 loaded iron ore to Geraldton Port on 7 February 2009 near Ruvidini, with a mixed set of wagons. 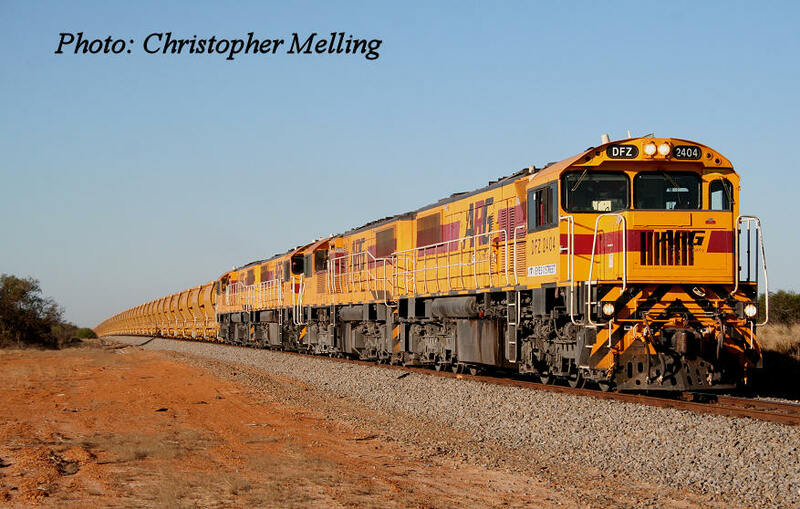 The amazing sight of 4 DFZ locos on one train at Kojarena with DZ2404/ DFZ2406/ DFZ2401/ DFZ2407 on 7711 loaded iron ore to Narngulu (only DFZ2401 not working) on 25 May 2009.